Il Grande Mazinga, in versione Infinity, arriva nella linea Metal Build di Tamashii! La figura ha un design davvero magnifico, e' in plastica e metallo e dispone di numerose articolazioni. Inoltre, nella scatola troverete tanti accessori e parti intercambiabili: mani, stand display, trivelle, parti per effetti e altro ancora. Da avere! 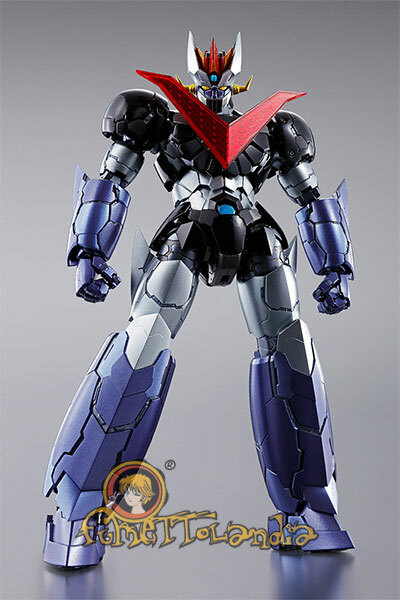 An all new Great Mazinger for an all new era. 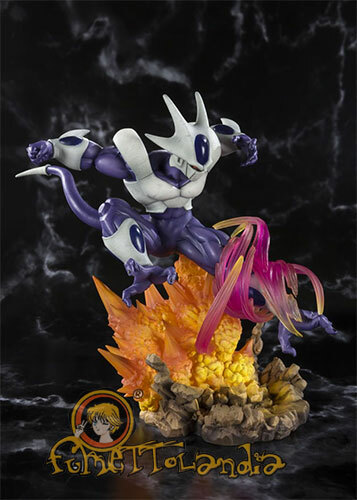 Overseen by designer Takayuki Yanase, this METAL BUILD edition is the definitive portrayal of the character, rendered in three dimensions for fans to enjoy. Incredible posability and a huge amount of accessories make this a must-have for Mazinger fans.The figure includes, exchangeable hands(3 left, 4 right), Brane Condor×2, Scramble Dash, Great Booster, Drill Pressure Punch upper arm parts×2, Drill Pressure Punch×2, Great Boomerang, back spin kick×2, Knee Impulse Kick×2, Mazinger Blade×2, Drill Pressure Punch effect parts×2, Barning, 2 Vernier thruster parts×2, Vernier thruster parts×2, exchangeable chest part, calf tail wing, stand, joint parts for display.